Sometimes two pictures have no relationship between their images. However, the holder classifies them together just by a simple story. 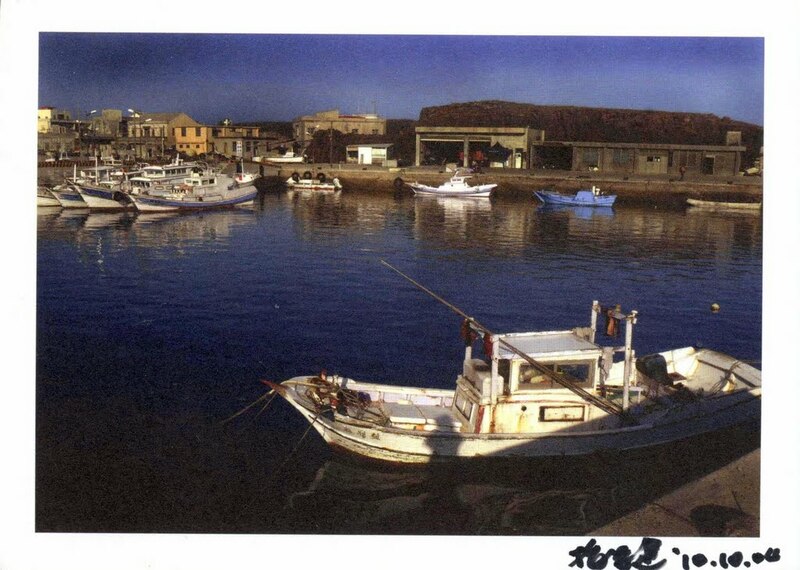 I saw the left postcard, TW-159606, on Taiwan postcard wall in postcrossing and recognised that it is the Kuang-cheng pier, Chiang-chun South Fishing Port, Chiang-chun Village, Wang-an Township, Peng-hu County. How did I know the exact place it is by the receiver's simple caption 'Fishing port in Penghu County, Taiwan'? Well, I spent half year working happily on the island and the right room of the building in the middle-top in the picture was my office. The island is some kind of my island. That was an unforgettable period of my life. So when I saw this postcard, I decided to get it, and collect it. I meant it. I wrote to the Taiwanese sender to ask the source, went to the shop she bought it, and found the shop ended up the business. I wrote to the publishing company, but the clerk said she did not think it's their product. Finally, I asked the Czech receiver to give me the both side of the postcard. Then the company admitted that the card is their product. I chose a postcard to send to the Czech mate to thank him on the day I got my postcard. 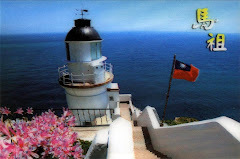 He said he like lenticular 3D postcard and lighthouse in his profile. I just had the right one for him. I bought the right one on my trip to Tung-yin, just a couple of weeks before. It did not stay in my stock before it was sent out. 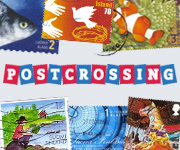 This is the story which connects the two postcards.